It has been a while since I posted here, but wow! I didn’t know it had been THIS long. Life at the newspaper has been keeping me very busy. I actually picked up more work there, which leaves me much less time to play in my studio and write here….sigh….all my creativity goes into the job, leaving little for anywhere else! BUT, a couple of months ago, I got an inspiration. The inspiration was the upcoming (at the time) deadline for Form, Not Function. I said, yes, I would like to enter that show again. Some ideas came, I sketched them out and the first of January was here before I knew it, with absolutely nothing done through the holidays on the project. Quilt retreat came in late January. I knew by then I wouldn’t make the Feb. 1 deadline. Sigh. But there’s always next year! I am still inspired to create a new series and I am plodding in that direction. I think I can! I think I can! I think I can finish this for next year’s deadline. 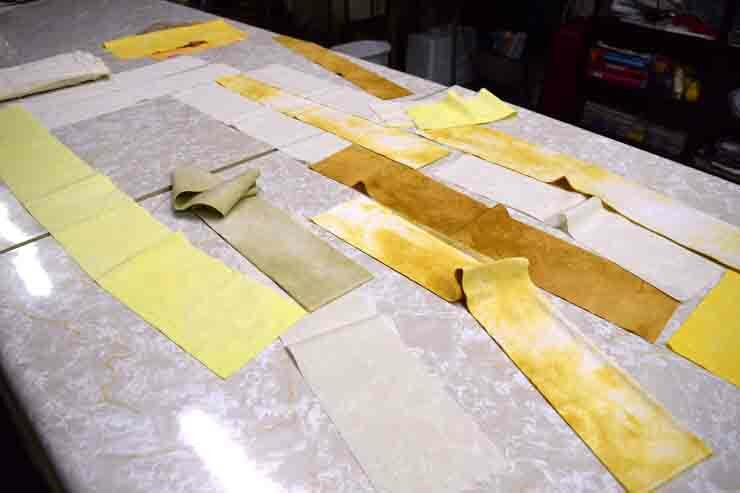 Today, I started cutting up fabrics and stitching. Finally! I had already done some sketching of where this is going (unusual for me to be planning), and had worked up a small prototype at the retreat. Abstract still life. That’s where I’m going. In other news, there has been a sale! 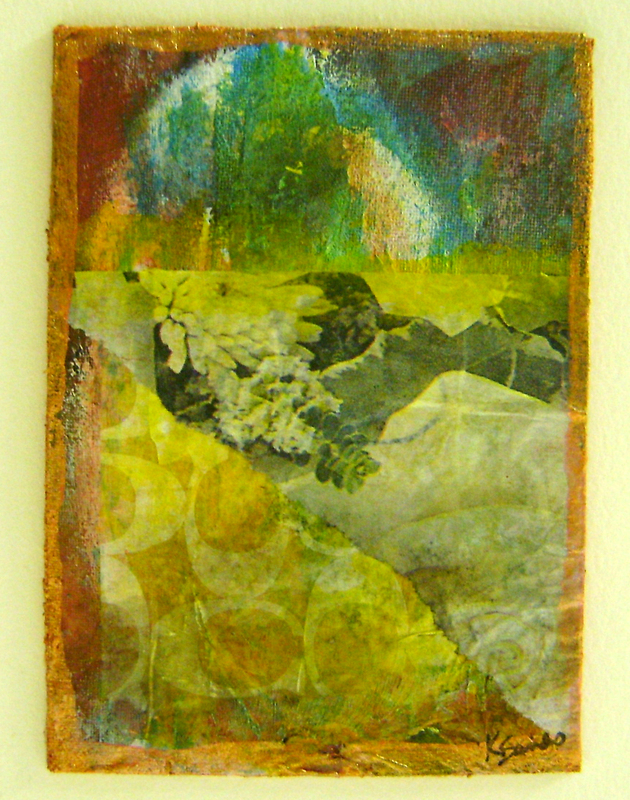 Compositions #2 will be going to a new home in Columbia, Mo. in the very near future. What can I say? If someone loves it, it must become theirs. I love it when someone else loves my art and wants to take it home. You can see Compositions #2 in the Gallery on my website. No names. I usually don’t name these small ones. 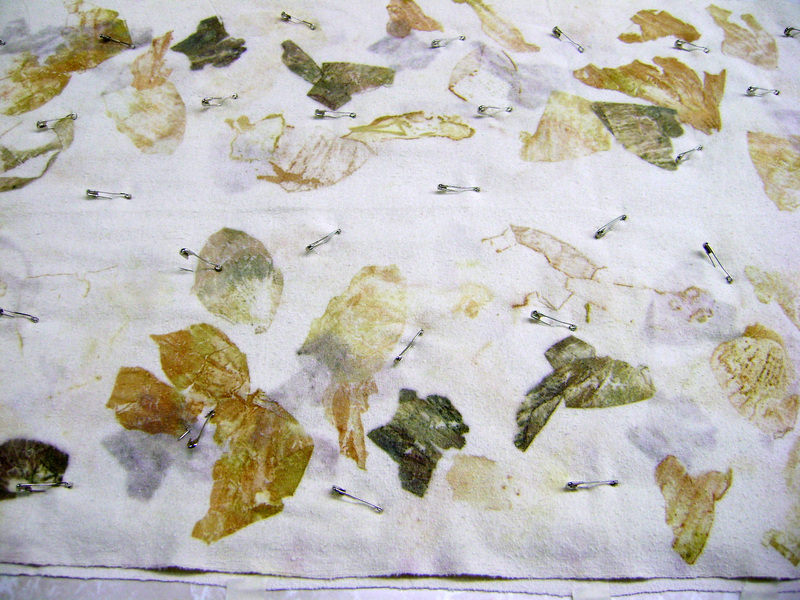 Paper, fabric, acrylic paint, inks. Fast2Fuse. Where have you been, you say? Nowhere. Just extremely busy with job and all of the sundry other things life hands one in the way of errands, holidays and shows. Not that anything has slowed down now!!!! Bwahahaha! But I do have pictures. Pictures of all the things I have been doing since Nov. 27. I guess we’ll start there. This particular piece of art has been in a cheap little black frame for years while I hauled it around from show to show. Last year there were some people that expressed interest in it but they never made the great leap to taking it home with them. (Heh, heh) I read something about art one day that said a nice frame sells everything, so I decided to get it put in a nice frame. I am still waiting! That was almost a year ago! The frame and the framing job is lovely. A master framer lives just outside of town and she did it for me. She is also an awesome pastel painter. 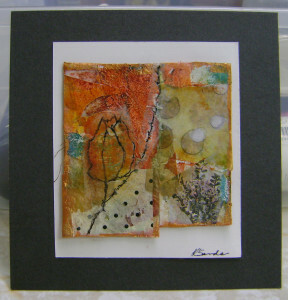 Stop in my shop and see some of her work! This little gem will be here too…maybe…. 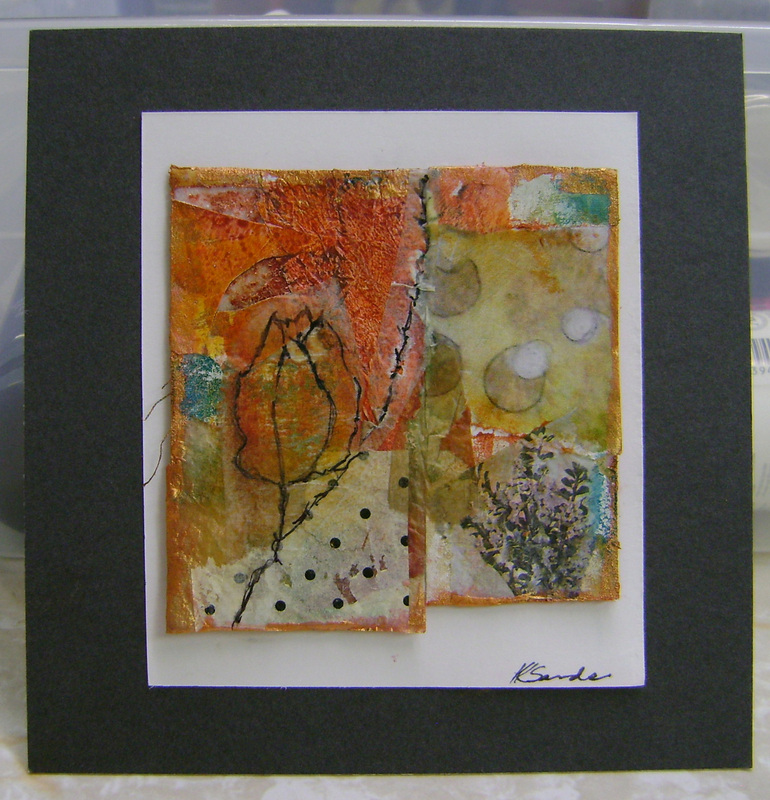 I do love to take leftover bits and pieces and put them together into a piece of art. I suppose it’s the way I was raised, to use what I had and not waste. So here is art with leftovers of this and that, all put together and sitting on a little easel for sale. It’s a little three-dimensional as I didn’t glue it down flat. I like that. I received a fascinating new book in the mail! 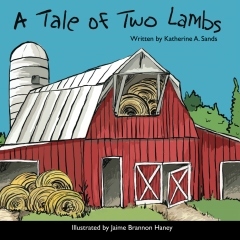 Martha Sielman has hit it out of the ball park again with this next book in the Portfolio series. 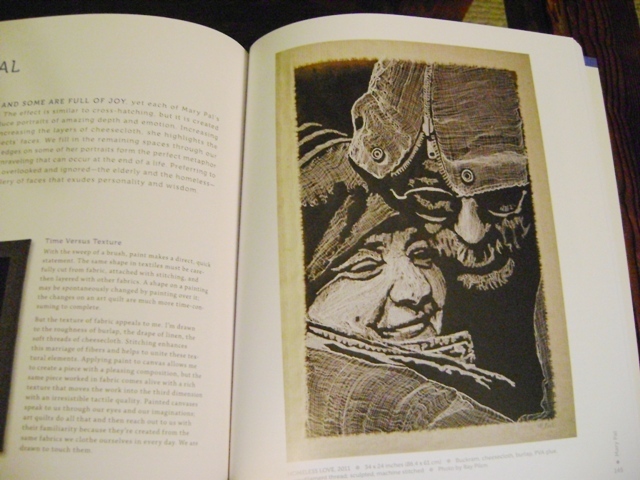 Many of the artists I am familiar with and many I became acquainted with in this volume. 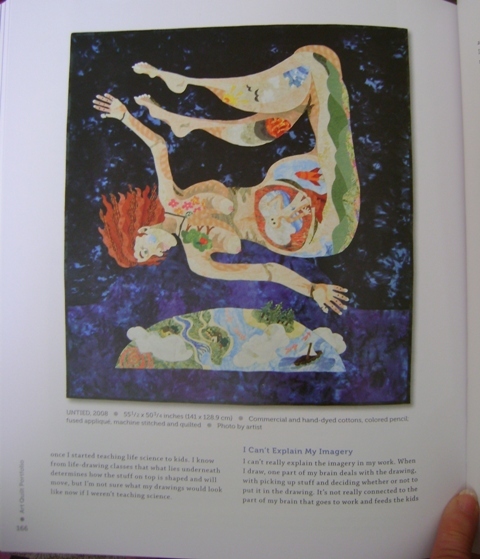 Twenty-one specific artists are given feature status, endowing the viewer with a perspective of their work in six-page spreads. 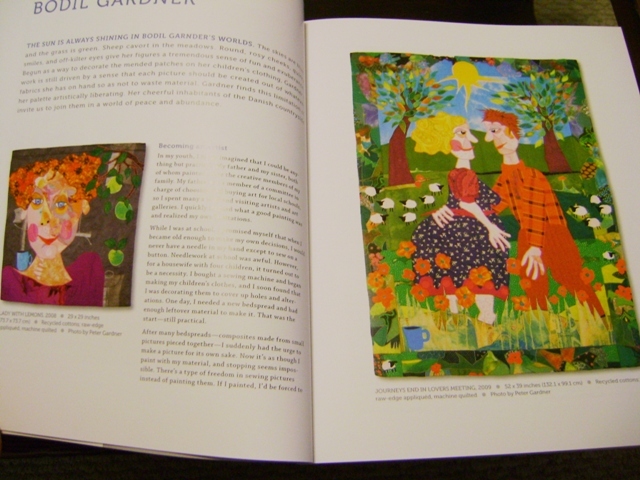 Other artists’ works are sprinkled throughout, amply adding to this comprehensive look at current work featuring people and portraits in the textile art world . Each of the featured artists’ work is accompanied by a rich narrative of what makes them who they are and how they arrive at their finished works. Enjoy Bodil Gardener’s work with her playful, exaggerated characters. So much fun! 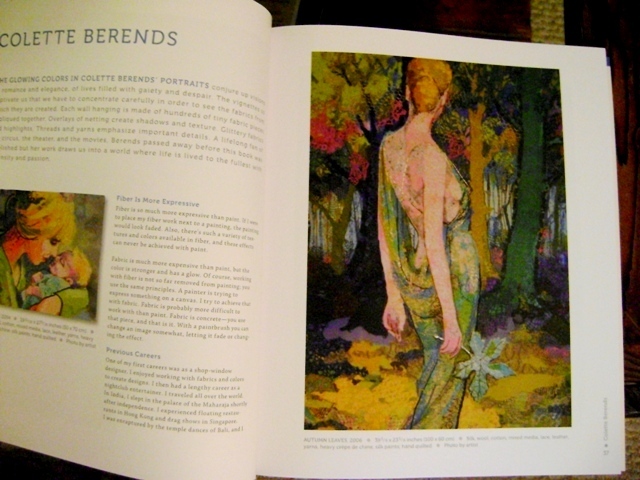 Collette Berends uses a very painterly effect in her work. 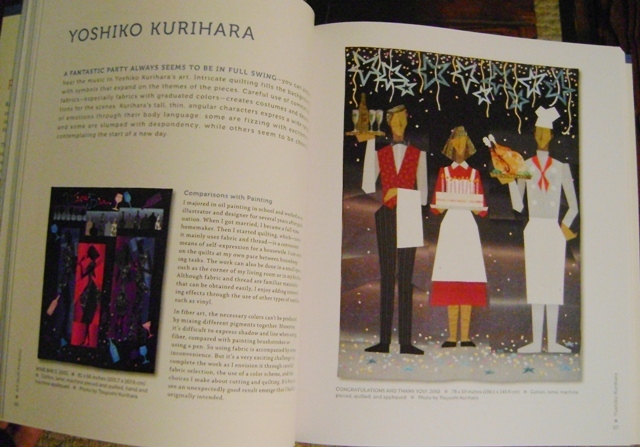 I adore the quirkiness and simplified forms of Yoshiko Kurihara. I especially like Morning Breeze. 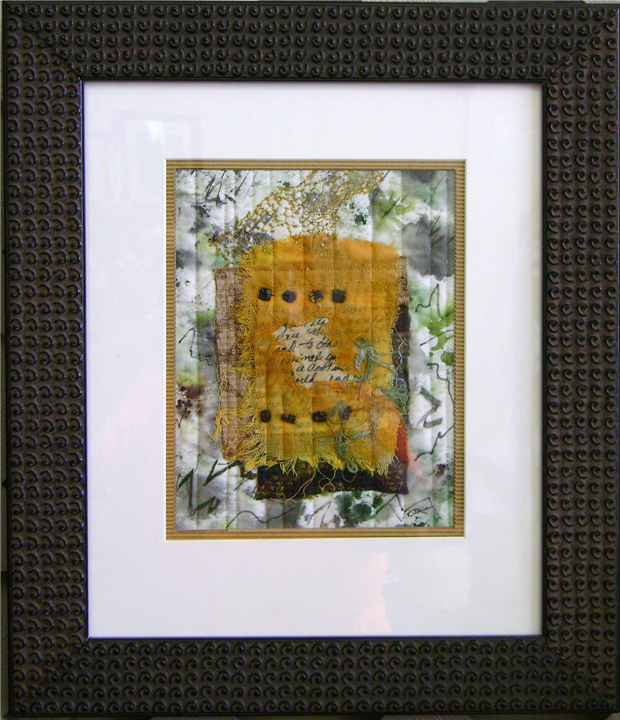 Mary Pal’s amazing works using simple cheesecloth on black backgrounds portrays details not thought possible by this writer! Viola Burley Leak uses highly expressive images. Her works are colorful with lots of movement. The use of black gives weight to her use of brilliant colors. The cartoons of Pam RuBert entertain, as always. 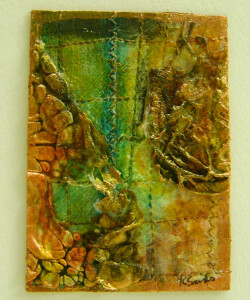 She is probably the most humorous textile artist I know. Kathy Nida is provocative, daring the viewer to be offended by her raw depictions of women in various social situations. 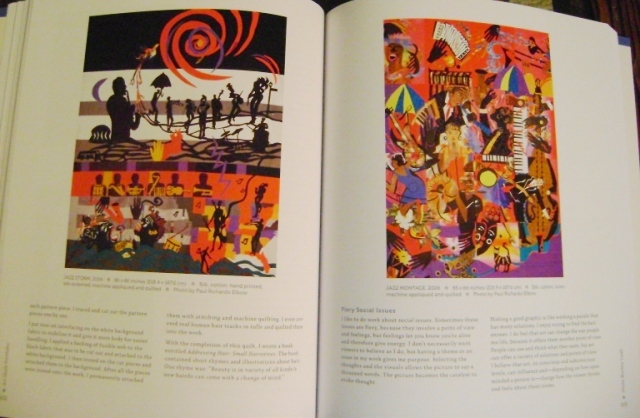 Jenny Bowkers, depicting her middle east travels has work included in this volume. Olga Norris with her faceless figures, and Lora Rocke, Joan Sowada, and Maria Elkins, all with the most breathtaking realism, are in the Portfolio. The painted work of Inge Mardal and Steen Hougs is here. 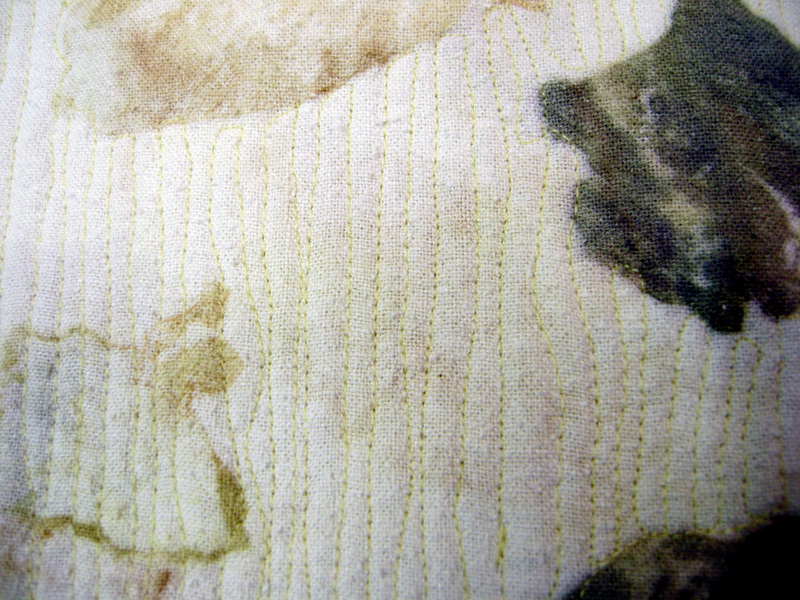 Sielman has gifted us with another stunning compilation of art in textiles. Purchase here. Last week, inspired to play…I got out some watercolor ATC cards and began to re-create some of my doodles from the past year with ink and then to color them with gouache watercolors. 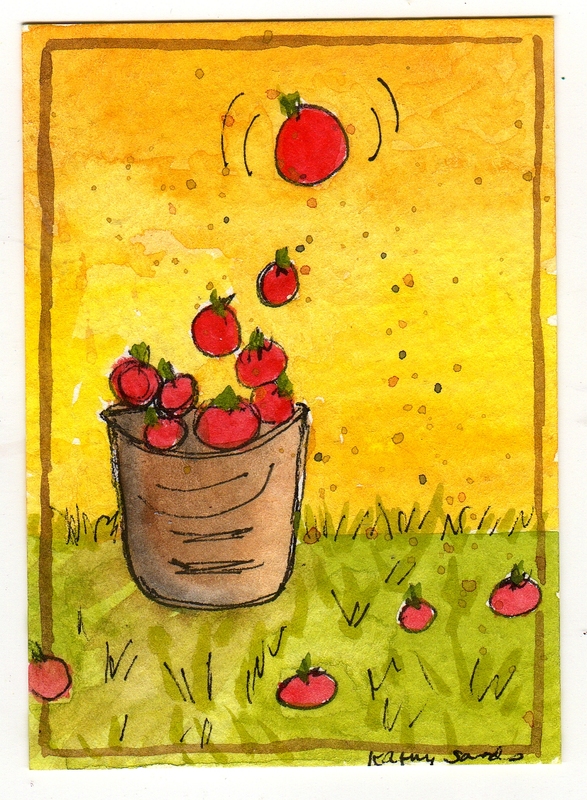 I had sketches of apples falling into a bucket or a basket, bird families on an outing and even some on a “picnic”. 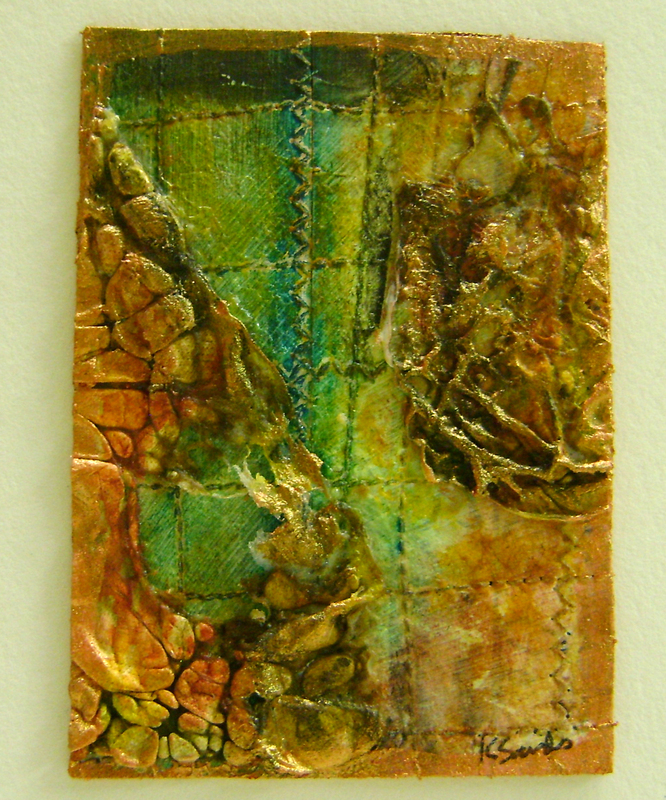 My mood and aim is playful, whimsical, something I don’t usually engage in in my fiber work. I think I will reserve that for my watercolor sketches. 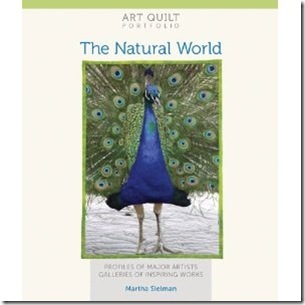 Graced by the cover art of Barbara Barrick McKie, Art Quilt Portfolio: The Natural World titles this latest work by Martha Sielman and delights us with 192 pages of eye candy. 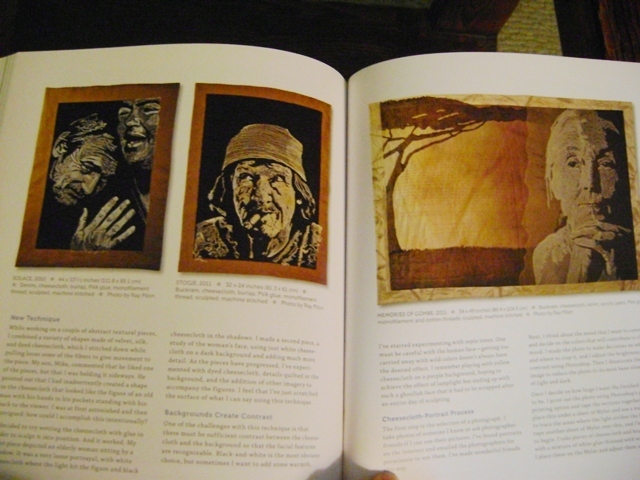 Included are 19 featured artists with “photos of their quilts as well as essays about their creative process and signature techniques”. 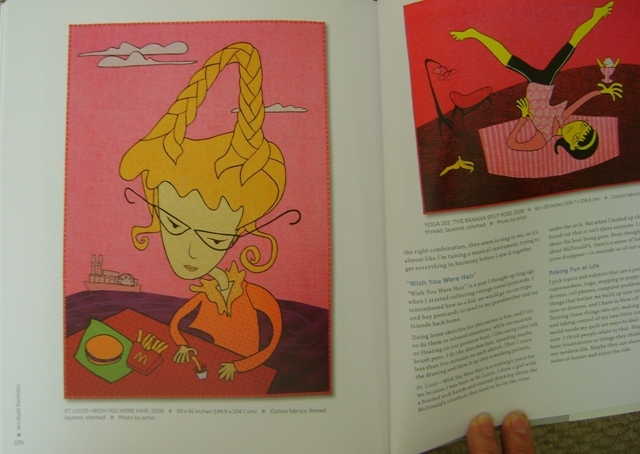 These artists each receive 4-6 pages dedicated to their work and processes. 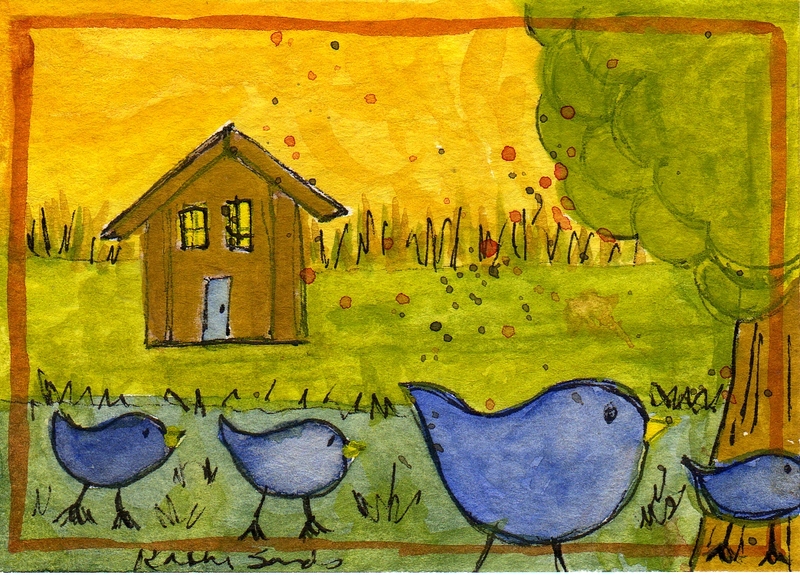 Featured artists are: Katherine K. Allen, Melanie Kane Brewer, Betty Busby, Paula Chung, Nancy G. Cook, Sally Dillon, Ginny Eckley, Patricia Gould, Annie Helmericks-Louder, Ruth B. McDowell, Barbara Barrick McKie, Annemieke Mein, Karen Illman Miller, Dottie Moore, Dominie Nash, Elaine Quehl, Ginny Smith, Judith Trager, and Cassandra Williams. 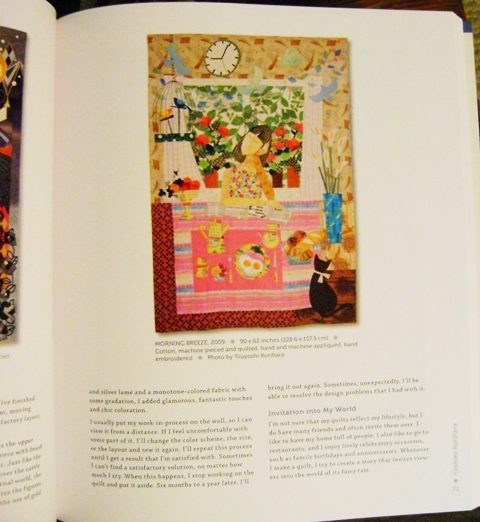 Special gallery sections spotlight images of work from other talented members of the art quilt community. A collection of work around the theme of “Thirteen Ways of Looking at a Blackbird”, a poem by Wallace Stevens of the same name, is featured. I found the work inspired by this poem to be interesting commentary on the theme as some of the pieces did not feature black birds or any birds at all! 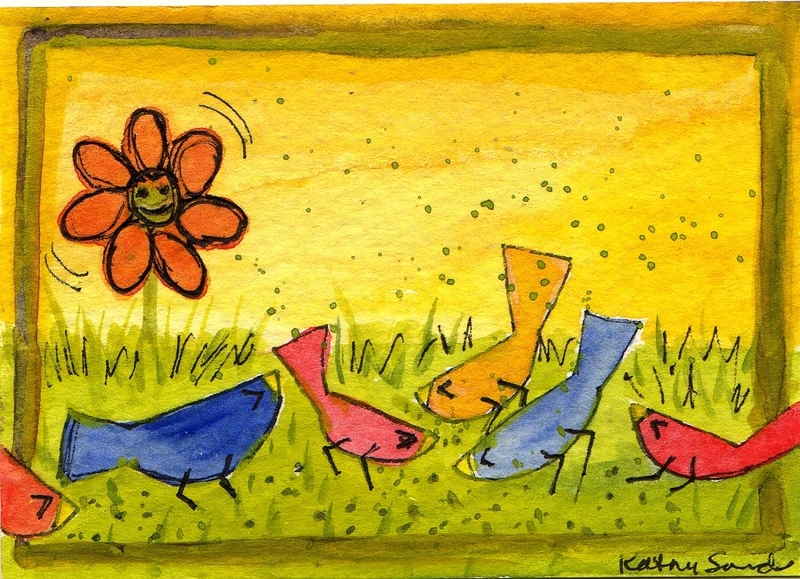 One of the featured artists is Katherine K. Allen from Florida. 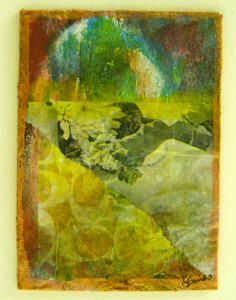 I was able to see her “Eventide” in person in January as that particular work was accepted into Form Not Function 2012. Her process is very unique and aims to capture the essence of the natural world as she uses collected live grasses, and leaves, etc. as stencils. Dominie Nash is another artist I admire and I have particularly enjoyed her abstract still life work. This book includes her recent series based on leaves. 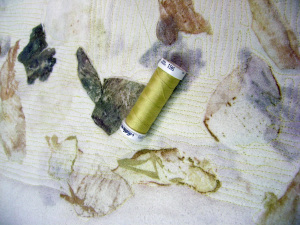 I do love the depth of exploration that Martha does of each artists’ working process and thoughts. I wish some of the other works could have been featured in a larger format, but evidently this book was not aimed at full size presentation. I don’t know how others go about it, but whenever I get a new book or magazine, I go through all the pictures first. Later, I will start to read the articles and biographies. This one is no different as I am now starting to carefully read and take notes from each artist. Purchase Art Quilt Portfolio: The Natural World here at the SAQA website. I should blog today…well, I guess I am…sorta. I haven’t written here since early November. Life just gets so busy during the holidays. I’m still cooking and preparing food for a get together at our house tonight…and cleaning. I’m not going to share much except that, the last day of the year is always a bit poignant for me. I look forward to the opening of a new year, but I grieve a bit about the passing of an old year. It’s my age. I just had a birthday. Actually, I’d love to be 40 again. But! I do sincerely wish all the readers of my blog a very Blessed new year! Now to get ready for its arrival….